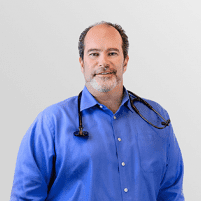 As a Doctor of Osteopathic Medicine, Michael Temkin has special training in treating conditions that affect the musculoskeletal system, such as arthritis. With his unique perspective on the musculoskeletal system and holistic approach to care, Dr. Temkin can help alleviate the symptoms of arthritis and treat the underlying issues. Book an appointment at his practice in San Ramon, California. Arthritis can cause joint pain, stiffness, swelling, and decreased range of motion. There are two main types of arthritis: osteoarthritis and rheumatoid arthritis. Osteoarthritis, the most common chronic condition of the joints, occurs when the protective cartilage on the ends of your bones wears down over time. The deterioration of this flexible tissue can lead to joint damage and symptoms of stiffness, swelling, and pain. Rheumatoid arthritis is an autoimmune disorder, meaning your immune system mistakenly attacks your own body's tissues. Unlike the wear-and-tear damage that occurs with osteoarthritis, rheumatoid arthritis affects the lining of your joints, causing inflammation and painful swelling that can eventually result in bone erosion and joint deformity. In some people, the condition also leads to damage in a variety of systems, including the skin, eyes, lungs, heart, and blood vessels. The osteopathic philosophy of medicine sees all systems of the body as interrelated, working with each to heal illness and injury. DOs are fully-licensed physicians who receive the same training as MDs but with a special focus on the body as a whole, integrated system. As a DO, Dr. Temkin takes a whole-person approach to medicine, looking beyond a patient’s symptoms to understand how lifestyle and environmental factors may be impacting their well being. How is Dr. Temkin’s approach to arthritis treatment unique? Understanding that the body’s systems are interconnected, Dr. Temkin takes that into consideration when diagnosing and treating conditions such as arthritis. He seeks to understand the complete picture of a patient’s health and offer comprehensive treatment that heals the underlying causes of an illness or disease. While medication can help control the symptoms of arthritis, Dr. Temkin focuses more on lifestyle modifications to help decrease pain, improve joint function, and slow the progression of the disease. For patients who are carrying a few extra pounds, losing weight helps relieve pressure on the joints. Patients with arthritis can integrate Dr. Temkin’s LeanMD program into their treatment plan for effective, sustainable weight loss.